The Onde and the Pyramid are perfect for electronic instruments, but not only. If you plug an electric or an electro-acoustic guitar in these speakers, will have access to a new way to feel your instrument and your sound. These speakers are more « acoustic » than a standard amp. 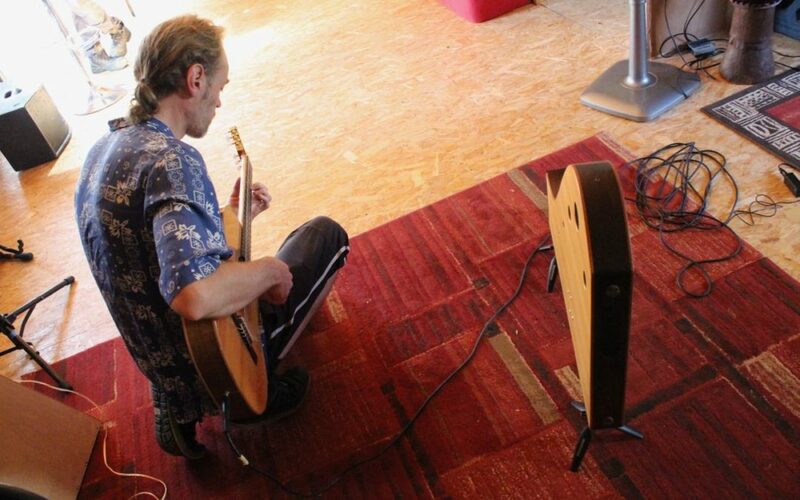 This is a new way to experiment sound design with your guitar.